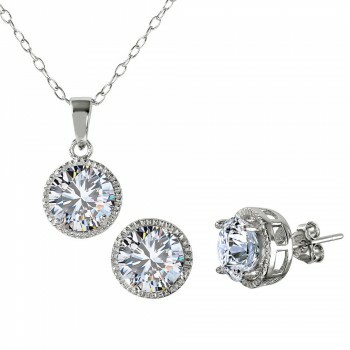 A stunning set featuring 3 round clear CZ stones and 3 trapezoid baguette clear CZ stones. 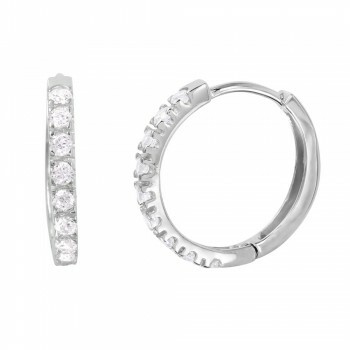 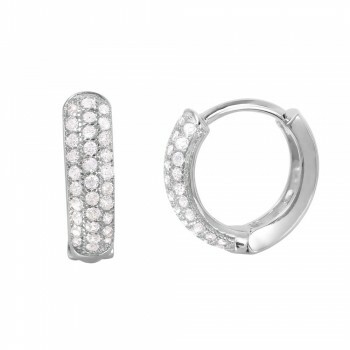 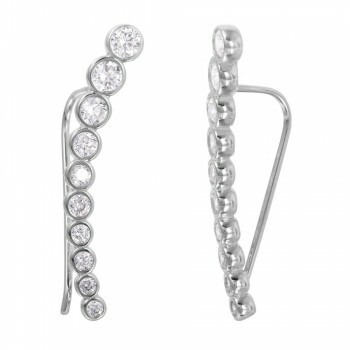 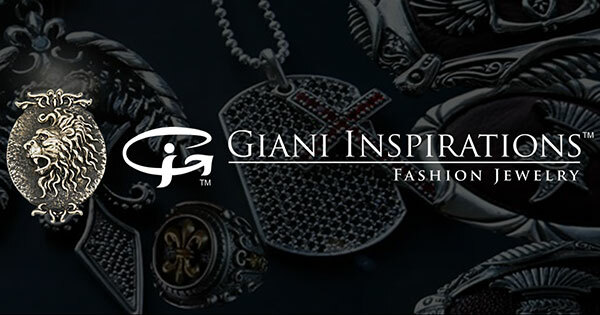 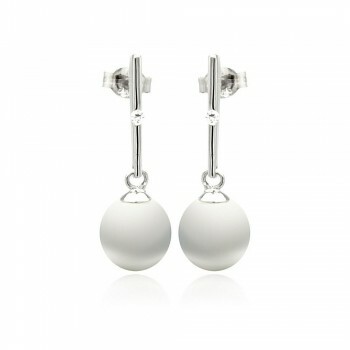 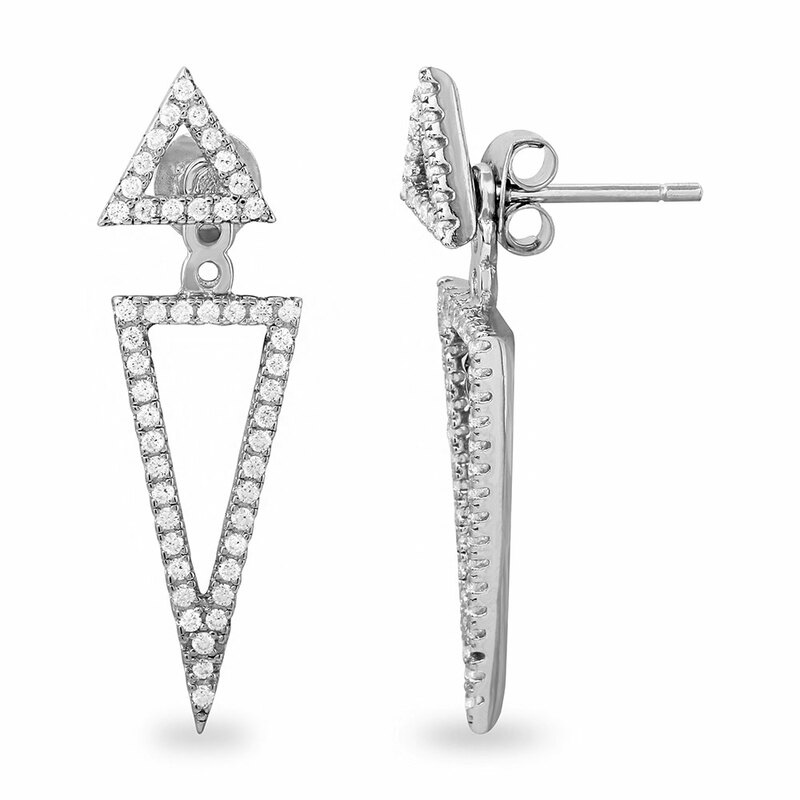 At first glance this is a typical round stud, but this set also features baguette stones. 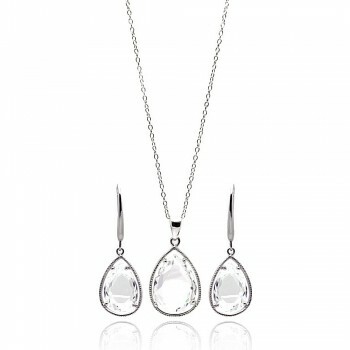 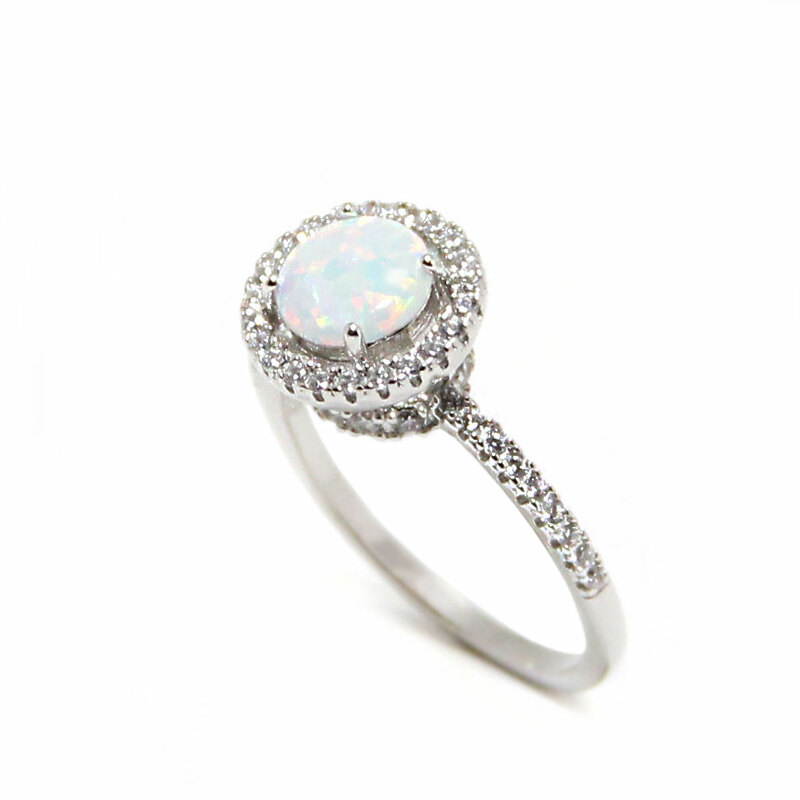 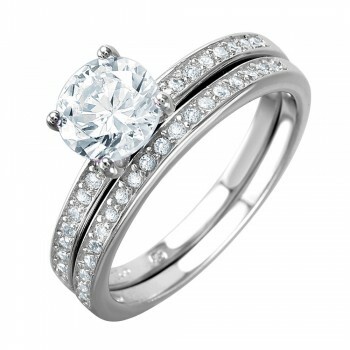 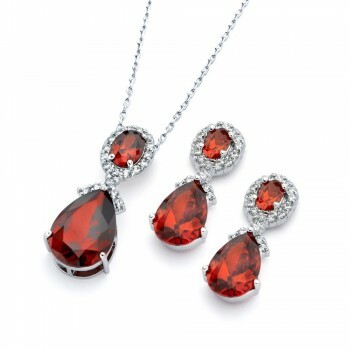 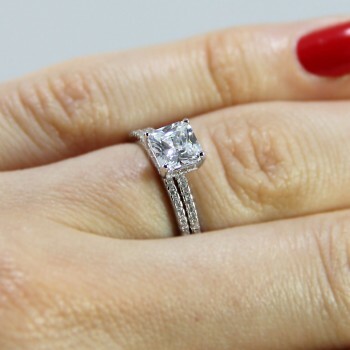 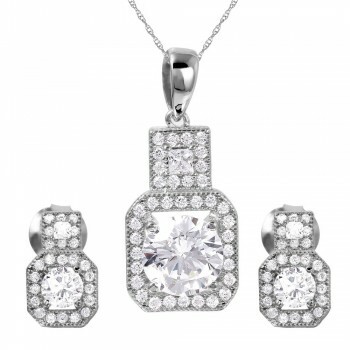 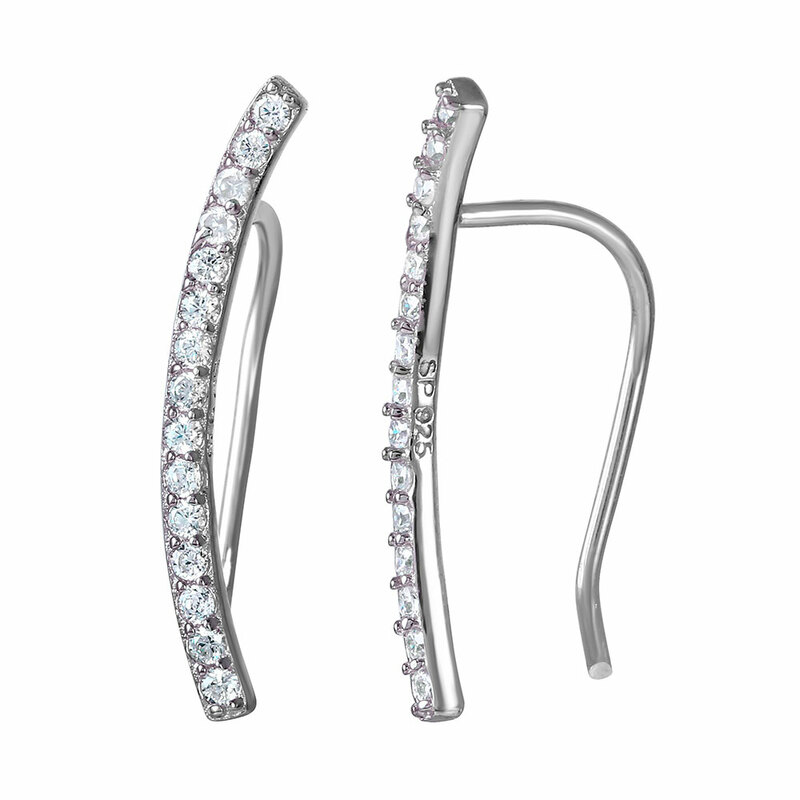 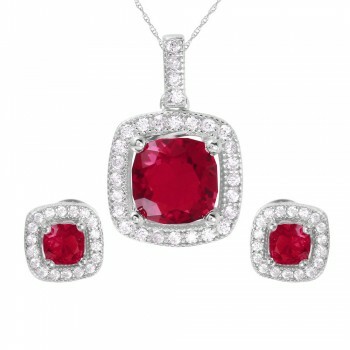 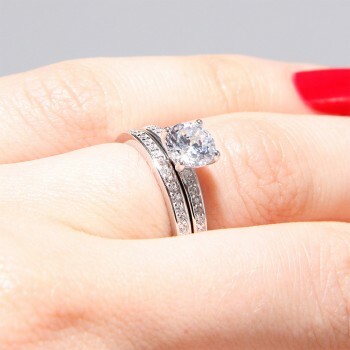 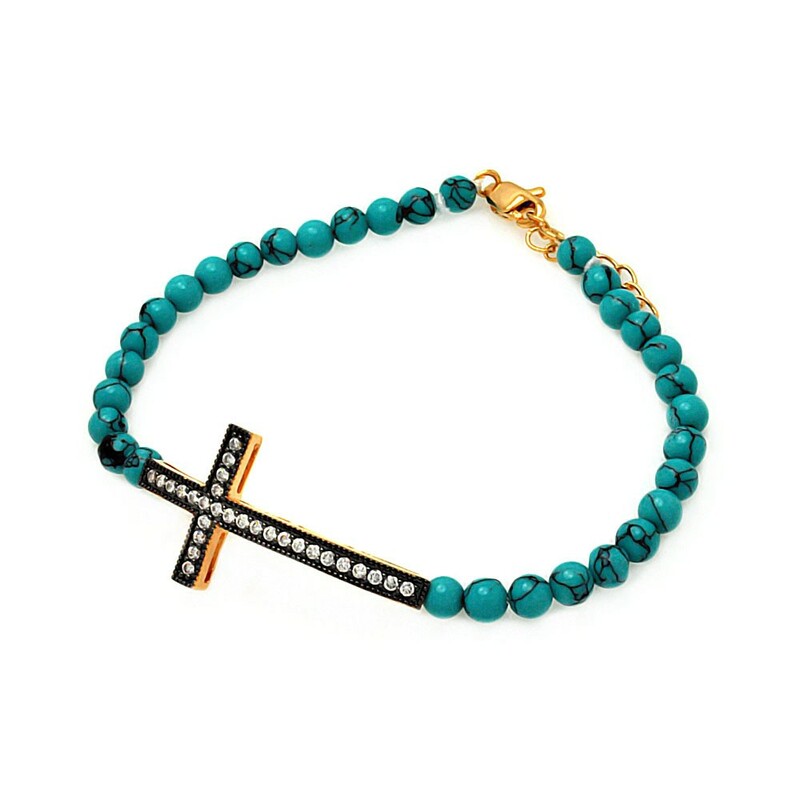 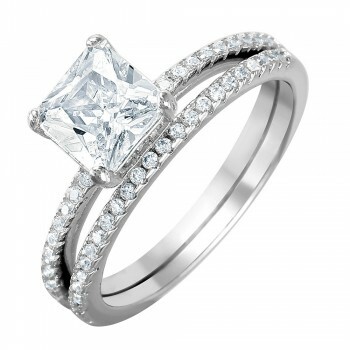 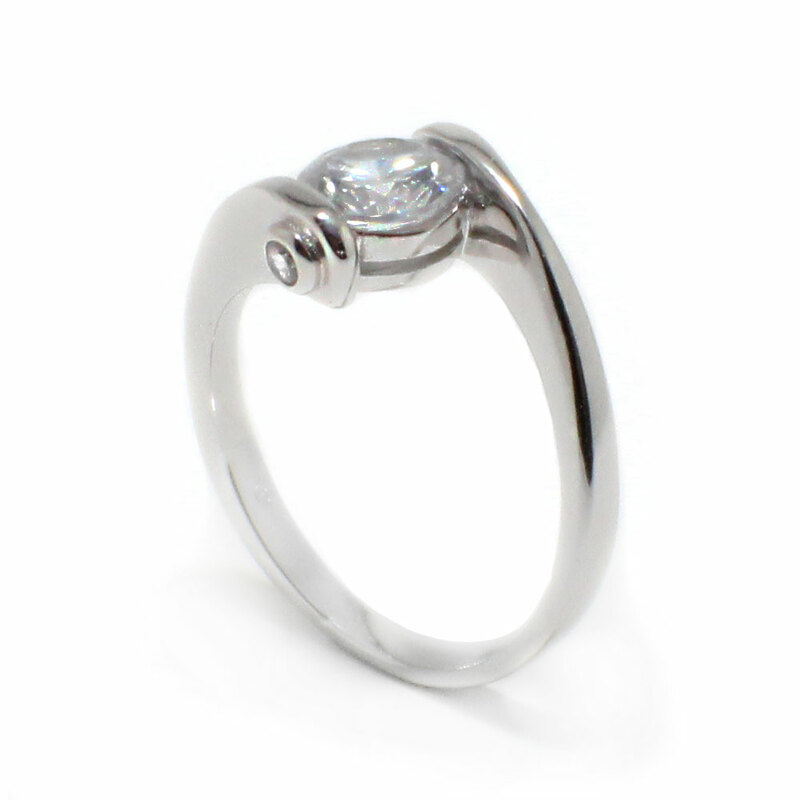 The trapezoid baguette CZ stones give this set an edgy glamour. 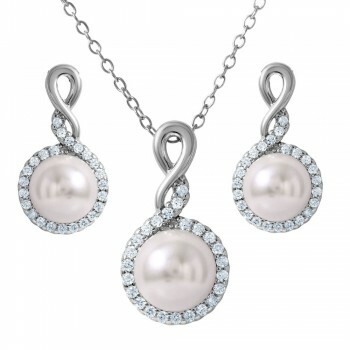 The design of this set makes it unique yet timeless. 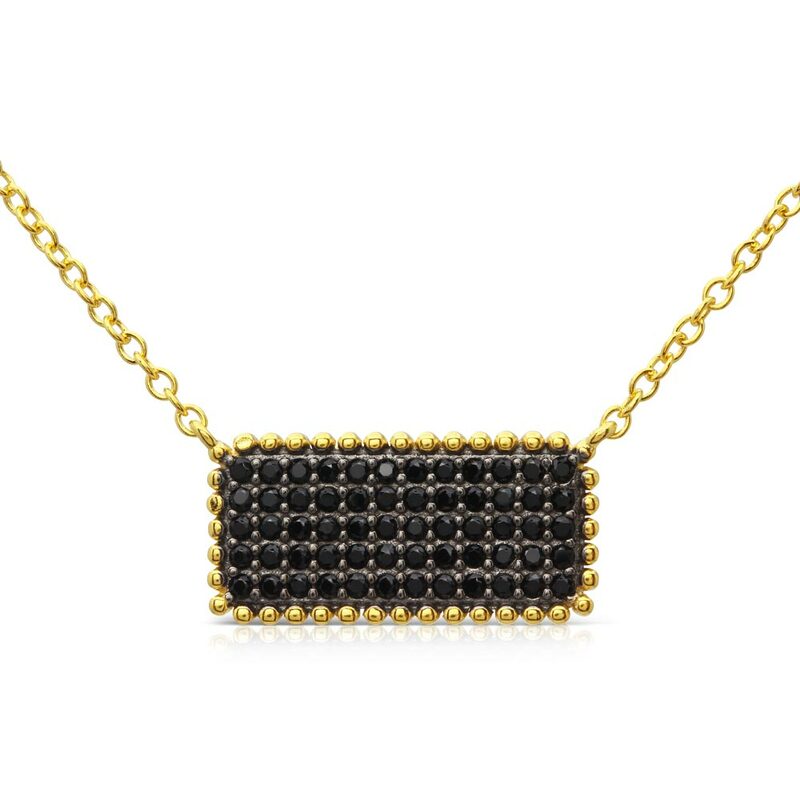 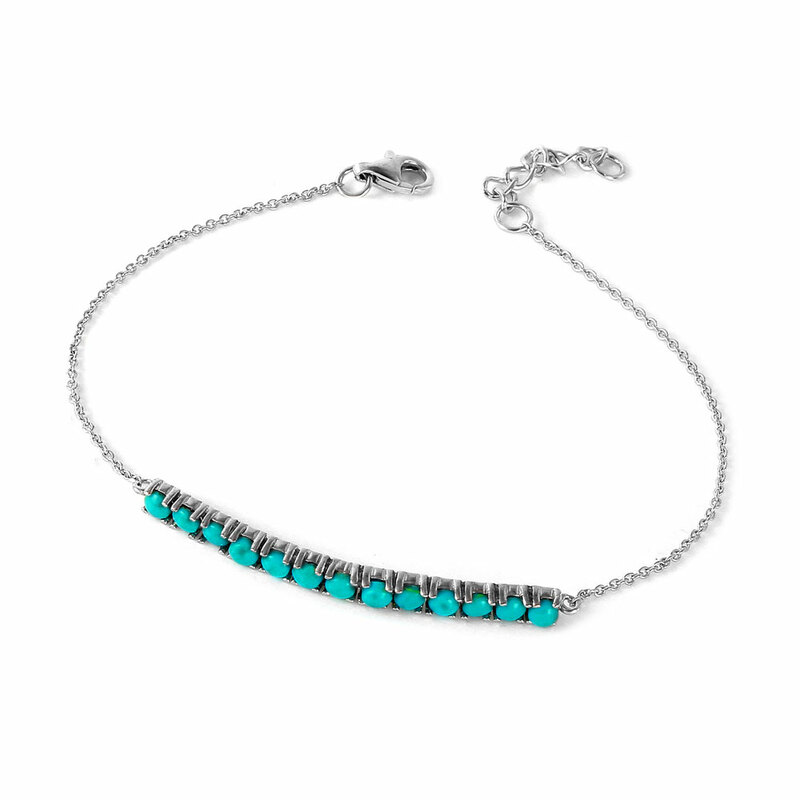 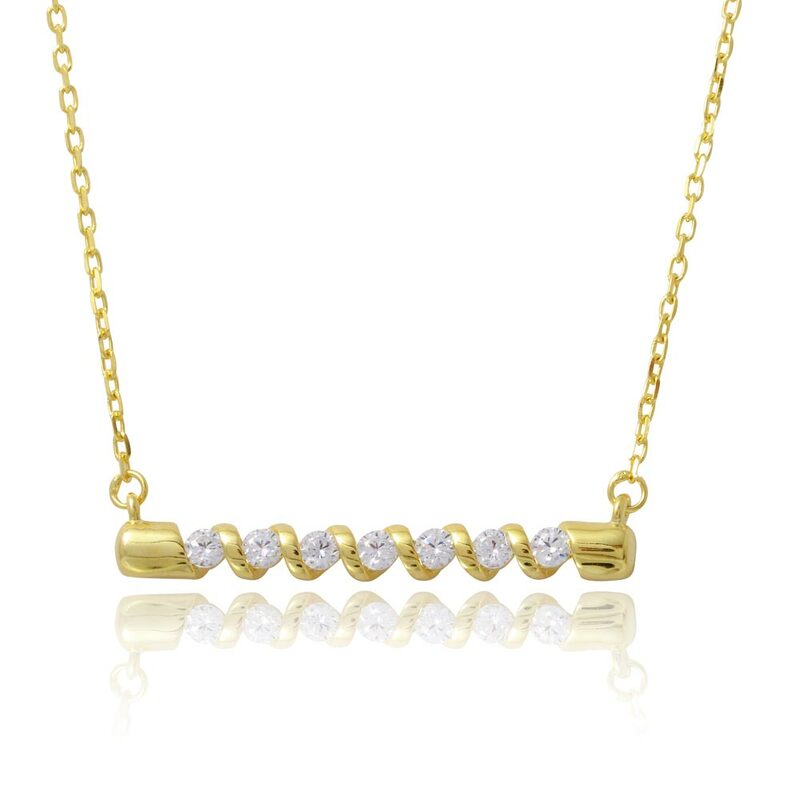 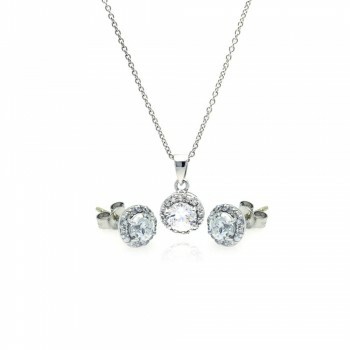 The pendant in this set measures 7.1mm x 11.3mm x 16mm. 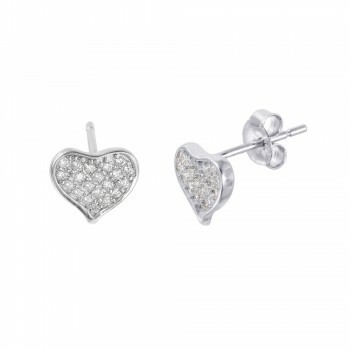 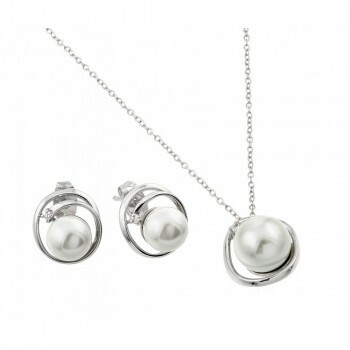 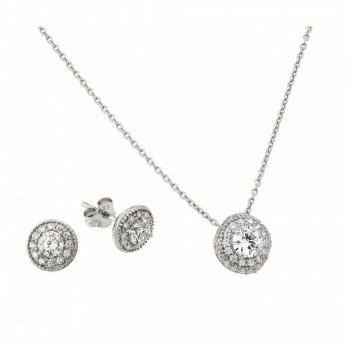 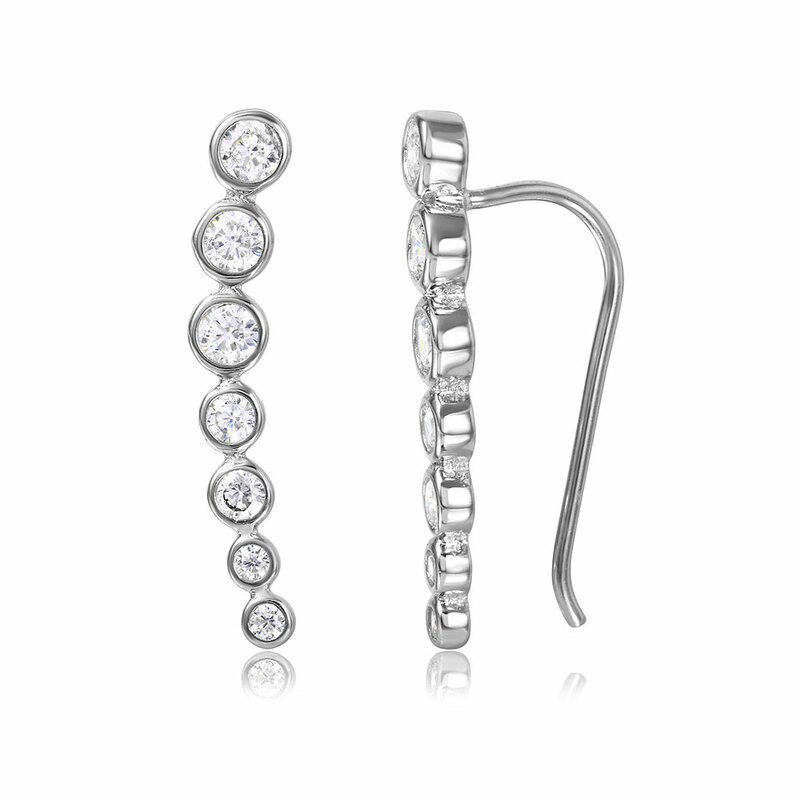 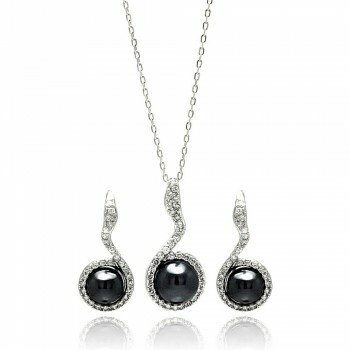 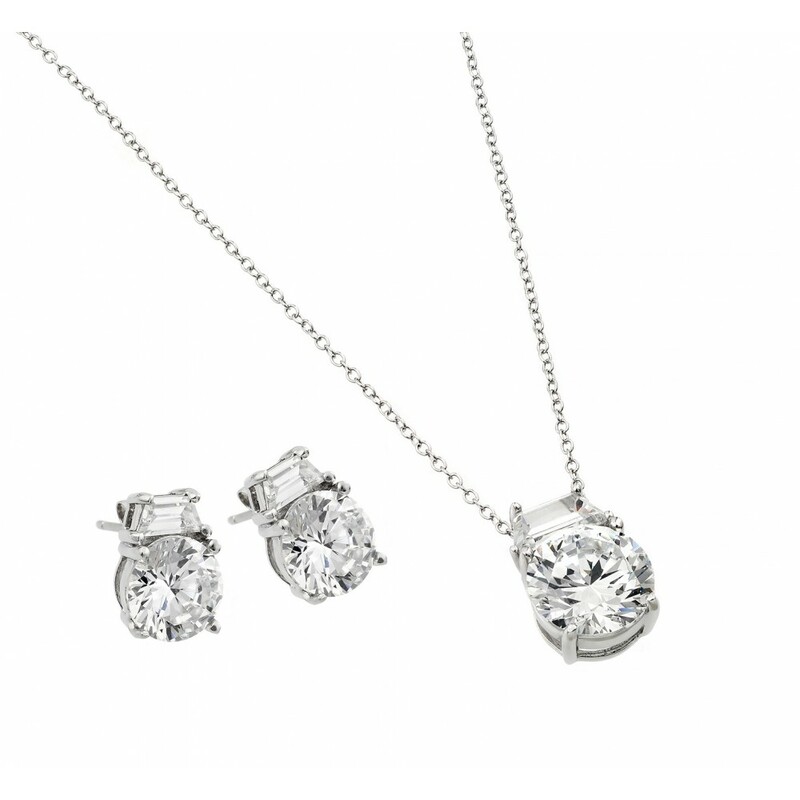 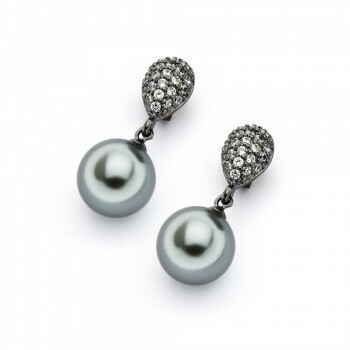 The round CZ stud earring and necklace set is classy and stunning.